The most effective driver assistance technology needs to be as easy to use as possible, with minimal intervention from you, the driver. EchoMaster solutions focus, not just on the safety technology, but integrating that technology into the overall driving experience. PAC, another Power Brand of AAMP Global, brings over 40 years of vehicle integration experience. Our line of integrated safety solutions fuses PAC's integration expertise with EchoMaster's safety technology. With hundreds of thousands of accidents caused each year due to visibility issues, adding front, side and reverse cameras can extend your view and reduce your risk. 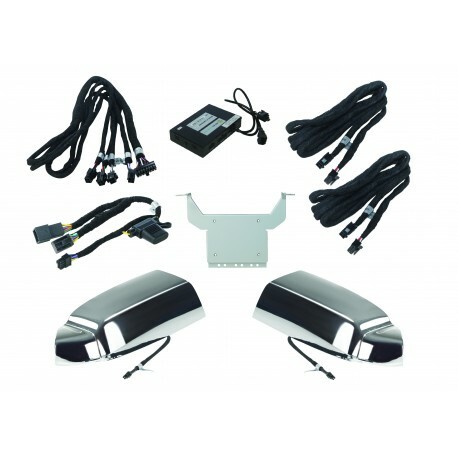 Our vehicle-specific camera and integration kits include everything you need to create a ride free from blind spots. 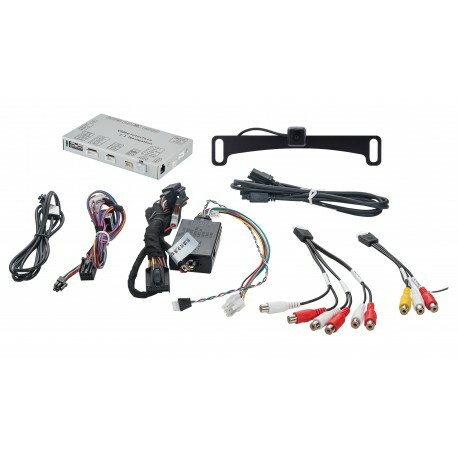 Cameras add visibility into areas of common blind spots and the integration harness and camera interface module, integrates the cameras' feed into your radio screen. The seamless integration attuned to your driver behavior ensures that the right camera is triggered on at the right time. Blind spots are every driver’s nemesis, and since the dawn of the automotive industry, they’ve been a common cause of accidents, especially in large vehicles like Sprinters. Having multiple cameras can minimize your blind spots, almost to the point of non existence. 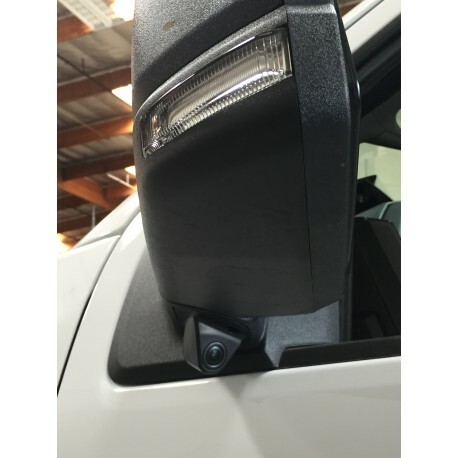 EchoMaster’s perfect fit mirror caps with cameras, simplifies lane changes. 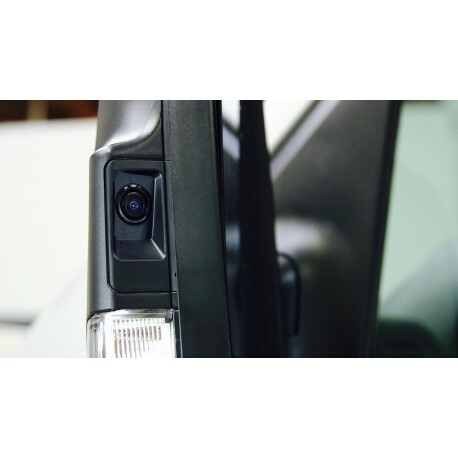 Activated by turn signals, the camera gives you the view into the side blind spot missed by mirrors, right on your vehicle’s infotainment screen. Whether reversing, driving or parking, this fully integrated, multi-camera solution gives visibility into common vehicle blind spot areas. 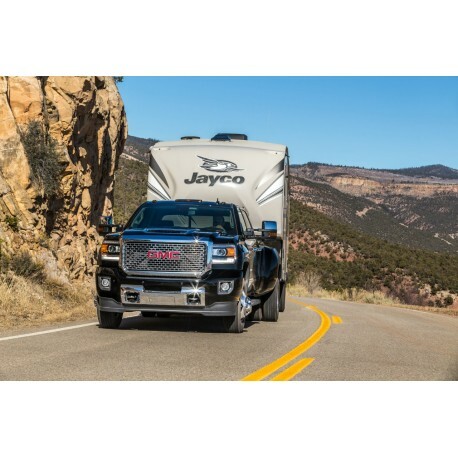 Built with trailering in mind, the three camera system, with optional fourth, and customized user interface, integrates seamlessly into the vehicle’s factory infotainment screen. 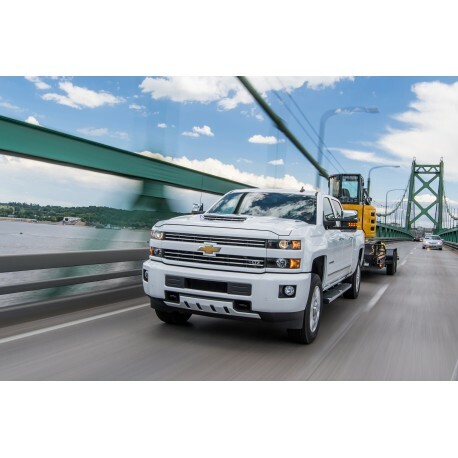 Utilizing six screen modes, smart technology enables camera activation based on driver behavior; left and right turn signals and placing the truck in reverse activate camera views on the vehicle’s infotainment screen. 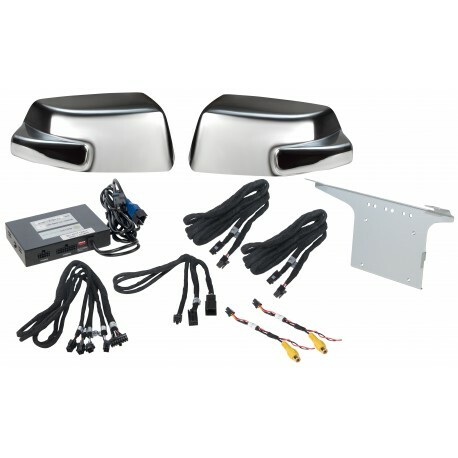 The system alternatively allows for manual activation by the driver.